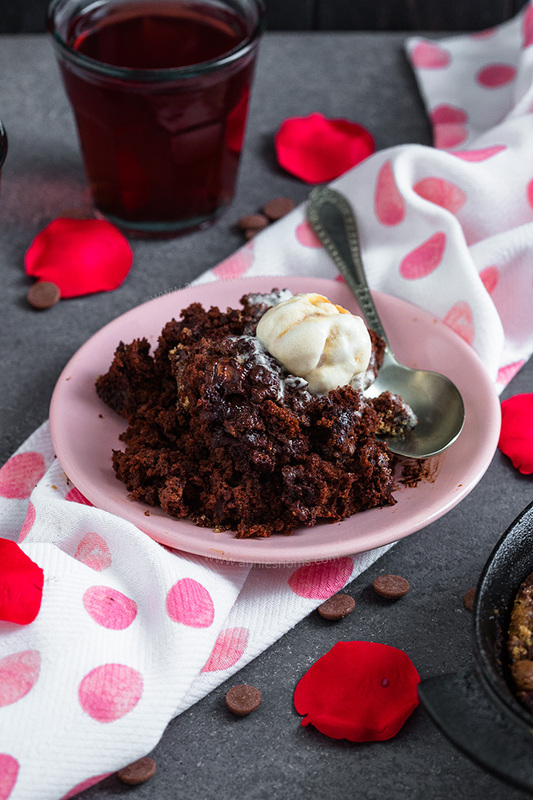 A rich and gooey Baked Chocolate Pudding sized down for you and a loved one. 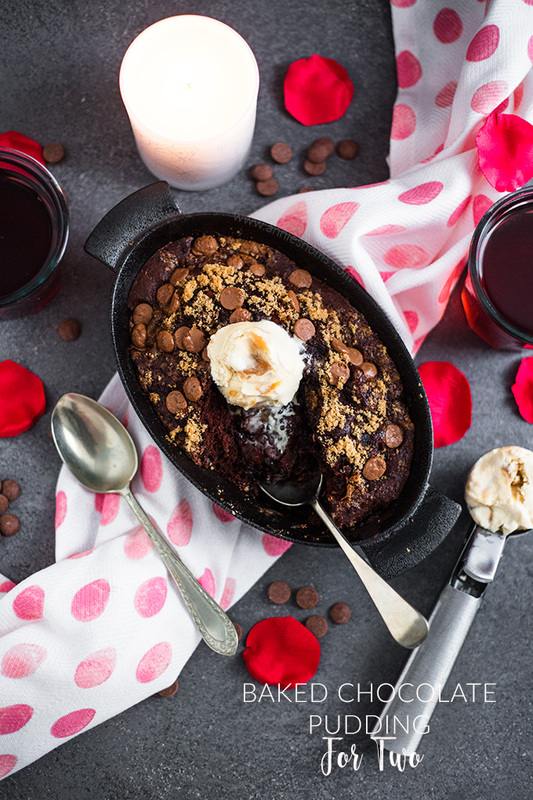 It’s easy, quick to make and perfect for a last minute Valentine’s dessert! Happy Valentine’s Day! 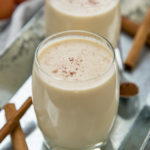 I have the perfect recipe for you today if you’re the type of person who needs a last minute dessert… i.e. me. 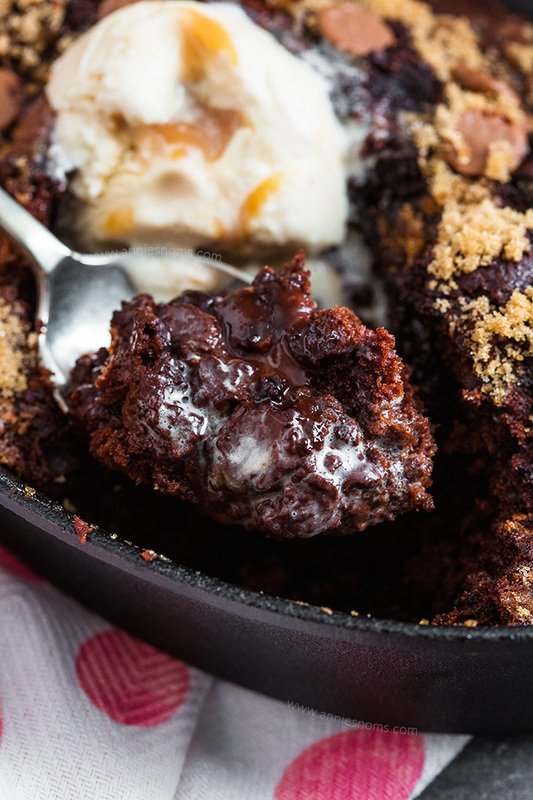 This Baked Chocolate Pudding is sized down for two and is ready in 20 minutes. 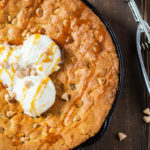 It’s best served warm and with ice cream and just perfect for you and your loved one to dig in together! Even if it isn’t Valentine’s Day, sometimes we just need a small dessert either to indulge ourselves or share with someone. This is just the recipe for those times. This chocolate pudding is so decadent, rich, gooey and delicious. I find that the ice cream cuts through the richness to create the perfect balance of flavours. The pudding itself isn’t too sweet or bitter, it’s balanced. 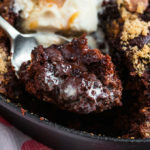 For me, a chocolate pudding is all about texture and this one is out of this world amazing! One more little “optional” extra – I dropped a handful of chocolate chips on the top of the pudding and then let them half melt into the top. OHMYGODSOGOOD. Hope you all have a great Valentine’s day, be it with your friends, family or other half; we’ll end up eating too much, vegetating on the sofa and probably catching up on Chicago PD – perfect night in! Preheat the oven to 180C/350F and spray a small baking dish with cooking spray. I used a small oval, cast iron baking dish around 20cm x 14cm. Place the egg, vanilla extract and milk into a jug and beat with a fork until there are no lumps of egg. Gradually add in the cooled melted butter, whisking until combined. Place the flour, sugar, cocoa powder, baking powder and salt into a medium sized bowl and whisk briefly. Pour the wet mixture into the dry and whisk until smooth and well combined. Tip the mixture into your prepared pan and smooth into an even layer. Sprinkle with cocoa powder and a small handful of chocolate chips. I also added a little light brown sugar for crunch, this is optional. Place in the oven for 12-17 minutes until risen, the edges are set, but the middle still wobbles when you gently wiggle the pan. The chips should be half melted and the sugar crunchy (if using). Mine took 15 minutes and I suggest you err on the side of caution and let the pudding be quite wobbly in the middle. You don’t want to over bake it and it will set up a little while cooling. 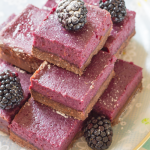 Leave to cool for 15 minutes before topping with ice cream and digging in with your loved one! Baked Chocolate Pudding is best eaten fresh and warm from the oven. Omg wow I am drooling over this! That gooey centre is just….yum! Gooey centres are just the best!! 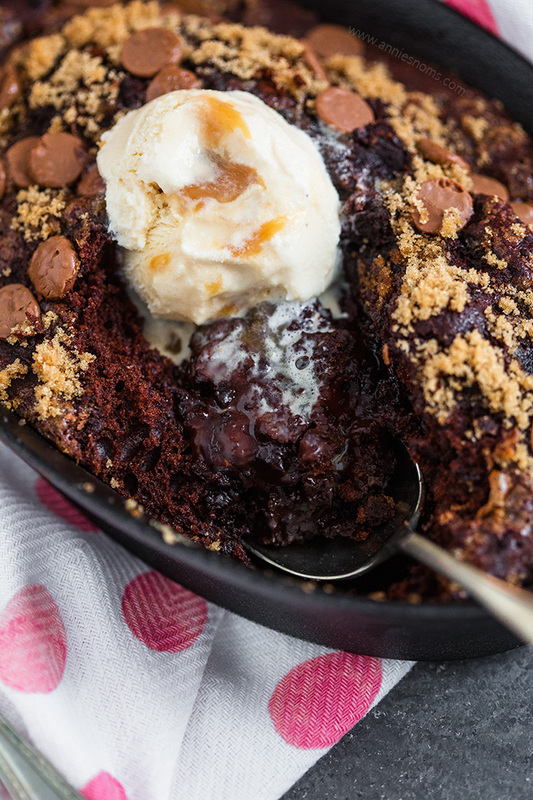 This is super delicious and chocolaty I am drooling with the look of this dish.Cant wait to try this for family. I’m feeling bad that I didn’t do anything special for my husband on Valentine’s Day. Is not too late to make him this right? It looks like such a special treat! It’s never too late haha! This was my last minute bake for my husband! I love that this is only two servings. I’m excited to make this for my husband and I this weekend. I love ooey gooey chocolate. Hope you get to make it – it’s the perfect portion size! 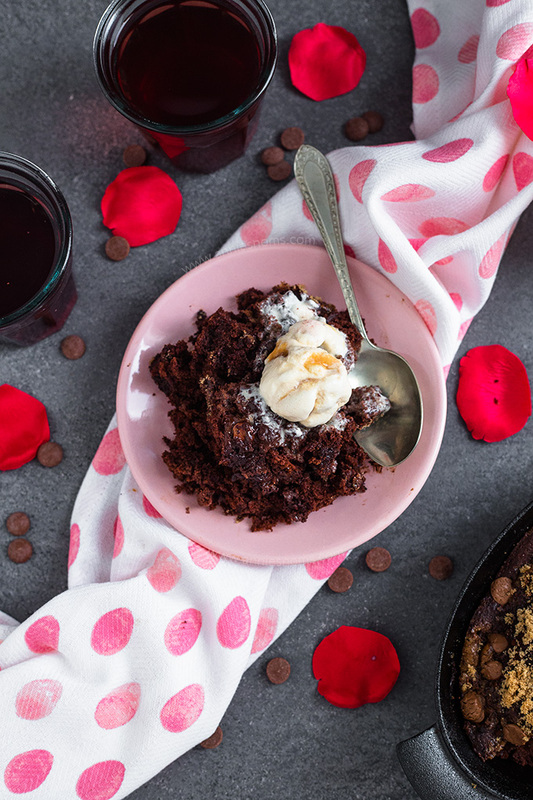 This Chocolate Pudding looks so perfect for Valentine’s Day or a special occasion! Made this last night for Valentine’s Day and it was amazing. My husband wanted his own. This chocolate pudding looks to-die-for delicious. Love the gooey centre. Going to pin for later!